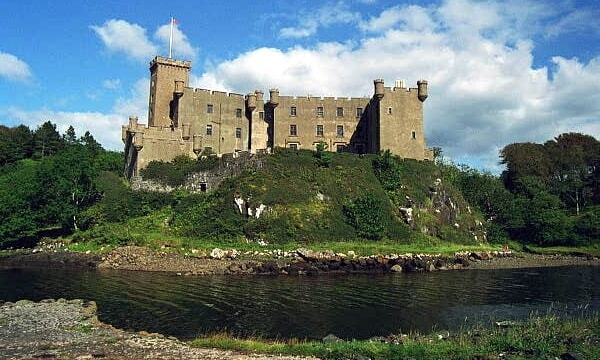 Dunvegan Castle is a castle a mile and a half to the north of Dunvegan on the Isle of Skye. It is the seat of the MacLeod of MacLeod, chief of the Clan MacLeod. Dunvegan Castle is the oldest continuously inhabited castle in Scotland and has been the stronghold of the chiefs of the clan for more than 800 years. The castle displays extremely diverse and distinct architectural forms that span across many different time periods.